Today’s handphones and smartphones are phenomenal. Many of us are using the camera feature to upload pictures to social media. And from what I’ve seen, there are great, although limited to the pixel size and detail. I took this picture using my HTC Legend on a bright and blue afternoon. I desaturated it, increased the temperature value, added border and marker, all from within my smartphone. 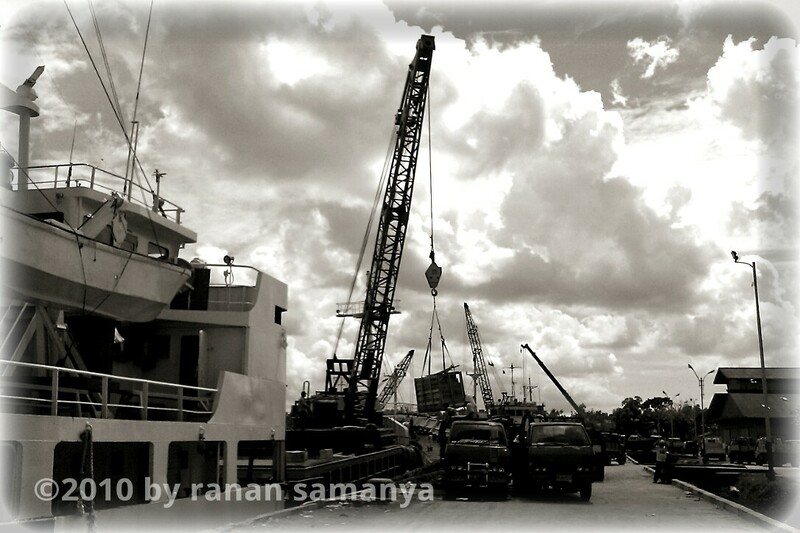 I like the way it is now after editing because it depicts the olden days, and this small port in Tanjungpinang somehow still operates like it. Again, we can’t really compare details. Although this frame was sharp enough on my device’s AMOLED screen, I’m sure it is not as sharp on a desktop monitor (click on the image to see a higher resolution frame). Given the limitation of our phone cameras, it will be good if we work within it. Get extra tools to edit. I use PicsayPro for Android. It has got its own limitation, but still the best available photo editor IMO. I know iPhone got one good application as well. And I can’t imagine that blackberry doesn’t have any, so I assume it does. Explore the possibilities, and have fun. Oh, BTW, this post was done completely from my device, using WordPress mobile. Ain’t that cool? !